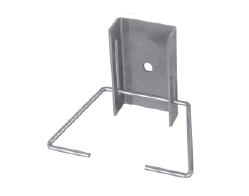 They are stainless steel metal elements whose function is to hold or clamp the masonry to structural brackets capable of transmitting all or part of the horizontal reaction due to the action of the wind. They allow freedom of movement in the two directions contained in the wall. - Replacement of support systems.